Independence for the Ukrainian Orthodox Church has been such a long time coming, it seemed as though it would never actually happen. There have been many attempts to set up such a church – in 1921, 1942, 1990, and 1992 – but none have yet won recognition as ‘canonical’ (officially recognised under Orthodox Church law). But in Istanbul in August, the Russian Patriarch came out of a meeting with the Ecumenical Patriarch Bartholomew (head of all the Orthodox Churches) furious and unable to prevent the news that a ‘Tomos’ (official decree) was indeed to be granted. In September Bartholomew appointed two exarchs to travel to Kyiv to prepare for autocephaly (Greek for ‘self-headed’ or independent), which they described to President Petro Poroshenko as a “fait accompli”. The final decision came tantalisingly close after a bishops’ assembly in Istanbul (a Synaxis) on 9-11 October, which condemned the process whereby the Ukrainian Church lost its independence back in 1686. This is an event of potentially huge historical importance. It will add religion to language, war, and patriotism as factors consolidating Ukrainian national identity since 2014. Poroshenko thinks it will help sway his re-election in 2019. More than 12,000 of the Russian church’s almost 35,000 parishes are in Ukraine, and losing even a small number of these would be a terrific blow to Russia and to Vladimir Putin’s concept of a ‘Russian world’. So catastrophic, in fact, that the Russian church is hardly likely to acquiesce quietly in the loss. 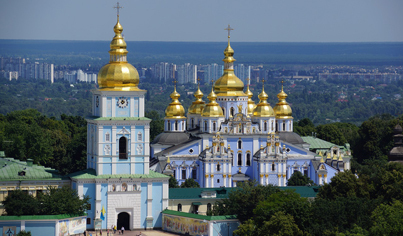 There are no fewer than three main Orthodox churches in Ukraine. Why so many? One of these, the Ukrainian Autocephalous Orthodox Church (UAOC), was set up in 1921 but banned under Stalin in 1930. It survived in the diaspora and returned to Ukraine in 1990. The current trio derives from an unsuccessful attempt in 1992, just after Ukraine’s political independence in 1991, to broker a merger between the UAOC and the existing Orthodox hierarchy in Ukraine. The merger created a new church, dubbed the Ukrainian Orthodox Church – Kievan Patriarchate (OUC-KP). But there was resistance on both sides: many in the UAOC refused to join, because they saw the existing Orthodox hierarchy as compromised by the KGB. While most of that compromised hierarchy refused to join the Kievan Patriarchate, for additional reasons of ‘canonicity’, traditionalism, and Russian nationalism. They remained under the Russian church, but relabelled it as the Ukrainian Orthodox Church – Moscow Patriarchate (OUC-MP). Just for good measure, there is a fourth church, the Greek Catholic Church – half-Orthodox and half-Catholic – banned in 1946, but revived in 1989, largely based in western Ukraine. The Moscow Patriarchate has traditionally been strongest in eastern and southern Ukraine. According to RISU (the Religion Information Service of Ukraine), the OUC-MP still has most parishes, with 12,251, the OUC-KP only has 4,508. The UAOC has 1,227 and the Greek Catholic Church 3,825. Fast-growing Protestant churches have several thousand, there are traditional Roman Catholic communities, and Sunni Islam is the faith of the Crimean Tatars. But the OUC-MP’s advantage is illusory; many parishes in eastern and southern Ukraine have fewer believers while religiosity is much higher in the west and centre. During the EuroMaidan, all the churches backed the protests bar the OUC-MP, with the exception of only a few priests. 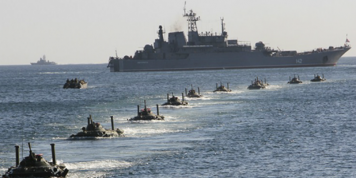 Many Moscow Patriarchate clergy backed the Crimean annexation and separatist war in the east. Several parishes therefore defected from the OUC-MP after 2014. Moreover, in August 2014 the Russian Patriarch replaced the church’s elderly leader, Volodymyr, with the more hardline Onufriy. The OUC-MP continued to organise pro-Russian demonstrations and ‘unity marches’ in Ukraine, and so many Ukrainians called for it to be banned. But a campaign for autocephaly and for all the Orthodox factions to unite under that banner also began with renewed vigour in 2014, led by churchmen, nationalist groups, veterans. The last serious attempt was under Viktor Yushchenko in 2008, while Viktor Yanukovych favoured the OUC-MP. Russia has campaigned tenaciously for the unity of the ‘Russian world’. It refused to attend a Pan-Orthodox Council in Crete in 2016 that planned to discuss independence for the Ukrainian church, but this may have alienated Bartholomew. He has since stopped dragging his feet and has linked the issue to similar issues in Macedonia. By backing autocephaly for Ukraine and Macedonia, Bartholomew has found a way to revive his own authority within the Orthodox world. Moreover, the rumoured wording of his official decree (in Orthodox terminology a ‘Tomos’) mandating Ukrainian independence reopens huge historical issues relating to the canonical authority of the Moscow Church, after the Ecumenical Patriarch ceded authority to it in 1686, and even possibly when the Moscow church proclaimed its Patriarchal status in 1589. Back in the seventeenth century, Kyiv was part of a semi-independent polity, the ‘Hetmanate’. Back in the sixteenth century, it was part of the Polish-led ‘Commonwealth’ whose eastern borders were around Smolensk, now in western Russia. Public opinion in Ukraine looks contradictory. Only 30 percent are in favour of a new autocephalous status, with 20 percent opposed, and half the population indifferent. But Poroshenko thinks it will fire up his political base (58 percent in the west favour autocephaly, while only 10 percent in the east do). The OUC-KP has more sympathisers than it does parishes. In a different poll, taken in August 2018, 68.8 percent of Ukrainians said they were Orthodox. But a high and rising number, 45.2 percent, of Orthodox Christians now identify themselves with the OUC-KP, and only 16.9 percent with the OUC-MP. Only 2.1 percent of those polled belonged to the UAOC. Interestingly, however, 33.9 percent called themselves ‘general Orthodox’. The Ukrainians are more religious than the Russians. Up to 76 percent claim to believe in God, and 37 percent attend church regularly. In Russia the corresponding figures are 56 percent and 7 percent. Ukraine is possibly unique in having a new Christian holiday, ‘Pokrova’, on 14 October. The day of the Holy Protectress or Theotokos was made a holiday in 2015, and is also ‘The Day of Defenders of Ukraine’ – those who claim its protection. There is a persistent myth that the wartime Ukrainian Insurgent Army was founded on this day in 1942. The new church will be properly pomesna – which means localised and legitimate. Supporters of church independence hope is that it will attract enough believers from the other Orthodox churches and the ‘general Orthodox’ to become Ukraine’s largest Church, institutionally as well as in public sympathy. But it will need to hold a new synod to reinvent itself, set new rules, and elect a new leader. The veteran head of the OUC-KP, Patriarch Filaret, was born in 1929. He has hinted he might stand, but it may actually help dialogue between churches if he did not, given Filaret’s long and Machiavellian career linked to the KGB. The OUC-KP and UAOC traditionally use the Ukrainian language in church, but in order to attract recruits from the Moscow church they may have to compromise on language and allow the use of Church Slavonic or even Russian. The new church will be more European and more open to dialogue with other churches than the Russian Orthodox Church is, but will still be quite conservative in terms of social values. The symbolic power of a Ukrainian church based in Kyiv will be enormous. The symbolic power of Kievan Christianity, dating back even to 988 AD, will give a massive boost to Ukrainian identity, especially if the new Church can gain control of the Pechersk Cave complex in the centre of Kyiv, a UNESCO World Heritage Centre. The upper half of the complex belongs to the state, which can allocate it to whomever it wants. But many supporters of autocephaly also want to see the older lower half, the site of the actual caves, transfer from the UOC-MP. 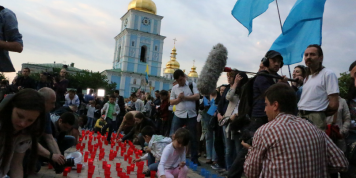 The effect on the Greek Catholics, the other ‘national’ Ukrainian church, is hard to judge. It may force them back into being a more regional church, based in western Ukraine. Or the Vatican might finally give them Patriarchal status in order to compete with the new Ukrainian church. The scenarios for Russia all seem bad. The ‘Russia world’ idea will suffer a severe blow. Russia could break with Constantinople to try and create a second centre of world Orthodoxy, in Moscow. During a meeting of its Holy Synod on 14 September the Russian church made threats to “break the Eucharistic communion” with Bartholomew, which would mean not attending meetings under his authority and removing his name from the liturgy. The Russian church has sent a letter to all 14 recognised Orthodox churches urging a ‘Pan-Orthodox discussion’ of the Ukrainian issue. It could push some other Orthodox Churches to oppose Ukrainian autocephaly, but Russia would also lose out from a broader split within world Orthodoxy. For the moment, the Kremlin is stressing church unity. But the Russian church will only remain the world’s largest Orthodox church if it retains most of its parishes in Ukraine. It is hard to imagine that Russia would give up easily, though, or retreat towards the kind of inward-looking, ‘pure Russian’ Orthodoxy favoured by Tikhon, Metropolitan of Pskov, even if they have had Putin’s ear in the past. Russia will hang on to the myth of origin in Kiev. And Crimea, where up till now it has left local orthodox parishes under the OUC-MP. It could absorb them into the Russian church proper. A similar situation exists in Abkhazia, where Moscow has left local parishes as part of the Georgian Orthodox Church. The Orthodox church in Belarus is much less independent and much more loyal, but even it could be affected by any decision conceding the shifting borders between 1589 and 1686, when what is now Belarus was part of the Lithuanian (to be more exact, ‘Litva’) territories of the old Commonwealth state, not Muscovite Russia. The issue will intensify during the upcoming Ukrainian election campaign. Poroshenko’s most recent campaign posters proclaim ‘Army! Language! Faith! We are going our own way! WE – ARE UKRAINE!’. Kyiv has promised to respect religious pluralism, saying there will be no forcible conversion; the 1996 constitution separates church and state. But some civil strife seems likely. Ukrainian nationalists deeply resent the role the Russian church has played in the war in the east. In notorious cases the UOC-MP has seemed to be a conduit for Russian operatives, as with Sexton Romashka, who was in charge of a separatist unit in Sloviansk in 2014. In the ‘Donetsk People’s Republic’ and ‘Luhansk People’s Republic’ a militant brand of Russian Orthodoxy largely imported from Russia has presided over the severe persecution of all rival faiths. In Crimea, the UOC-MP is squeezing out its smaller Orthodox rivals. Whether or not the Ukrainian Church will help Poroshenko with his election campaign, before the vote due in March 2019, the potential ramifications are enormous. Ukraine became politically but not culturally independent in 1991. The war that began in 2014 has already driven a wedge between Russia and Ukraine; proper autocephaly for Ukraine will now widen the gap. Putin’s repeated claim that Russia and Ukraine are “practically one nation” will lose even more credibility. A more pluralistic Orthodox world, no longer dominated by Russia, is of enormous significance.